Little baby takes first steps, playing with laughing happy parents on lawn grass in city park. Slow motion. 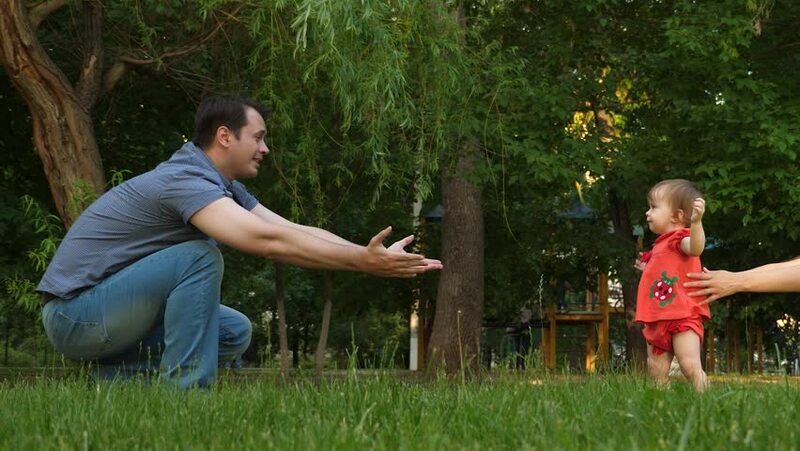 hd00:16Little daughter takes first steps to meet laughing dad on lawn grass in park. Dad kisses baby on cheek and smill. Slow motion. 4k00:15little daughter goes from mom to dad on green grass in park in spring, summer. happy family concept. child takes first steps on lawn in park in summer, teamwork and victory. hd00:30Young woman and little boy are playing with a toy in the park.